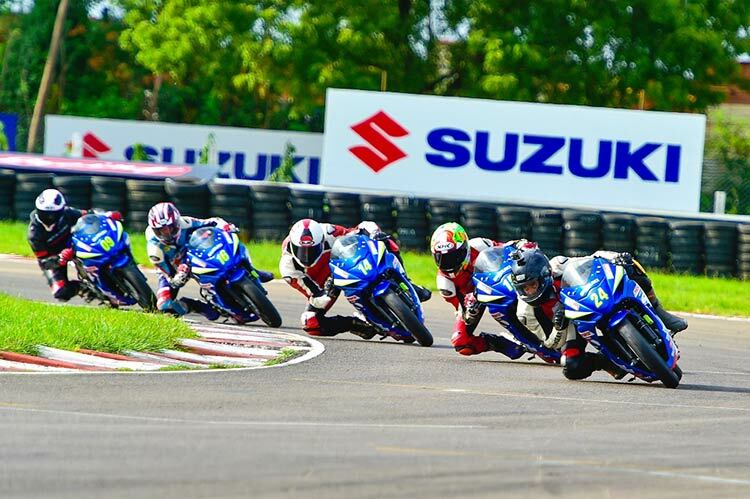 Suzuki Motorcycle India Private Limited (SMIPL), a subsidiary of one of the world’s leading two-wheeler manufacturers Suzuki Motor Corporation, Japan, hosted the third round of the Suzuki Gixxer Cup at the Madras Motor Race Track in Chennai from August 7 to August 9. A large crowd of racers, friends, family and enthusiasts once again gathered at the racetrack, to watch and cheer the racers. 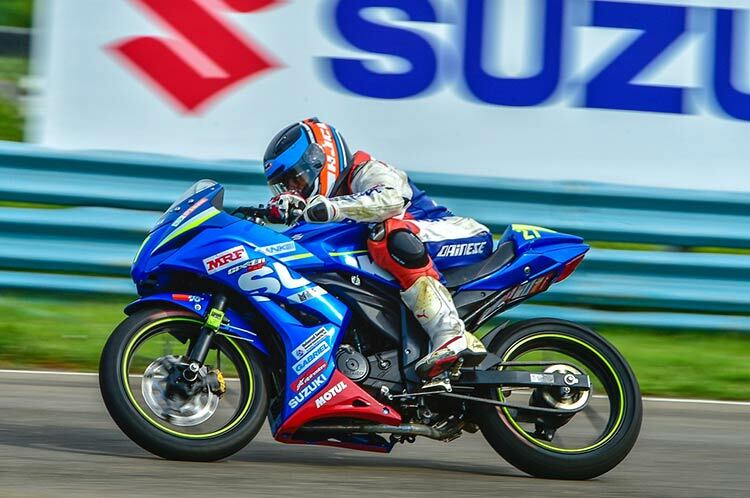 Round 3 of the Gixxer Cup was a much-anticipated event amongst fans and each lap was the scene of stiff competition amongst racers in both the Open Class and Novice categories. In an amazing feat, Vivian Gladwin David clocked 2:10.686 on his Gixxer SF, making it among the best lap times ever by any One Make Race manufacturer on this circuit! Ananth Raj upped his game in the Open Class (over 23 years) category, taking both wins and converting his 12 point deficit into an 11 point lead over his arch rival, Abhishek V. Both Open Class races were fought neck to neck with the top five riders swapping positions at every corner, making them the most exciting races of the weekend! To make things even more interesting for the coming rounds, the race ended with 3 riders in a tie for the 3rdposition in the championship. The Novice Class (under 23 years) was equally exciting, as the top two contenders – Vishwadev Muraleedharan and Amarnath Menon clocked one win each, leaving Antony Peter and Sreejith PR to battle it out for the final spot on the podium. Both races were closely fought, with the top 3 riders locked in fierce competition. At the end of the day, Vishwadev held a mere 2 point lead on Amarnath, making for a thrilling Round 3. We are extremely pleased with the quality of racing in Round 3 of the Gixxer Cup. We have received positive feedback about Gixxer SF’s excellent performance and handling on the racetrack. It is rewarding to see bikers being so enthusiastic about our product. This round has set a benchmark for fine racing, but we hope to exceed expectations in the coming rounds. Suzuki is proud to promote the motorsport culture in India and we hope to have even more riders participate in the coming rounds of the Gixxer Cup. Round 4 of the Suzuki Gixxer Cup will be held during the weekend of 4th – 6th September, at the Madras Motor Race Track in Chennai. Along with chronicling the successful progress of the Gixxer Cup, the Suzuki website also has recent additions of the results and videos from the races.